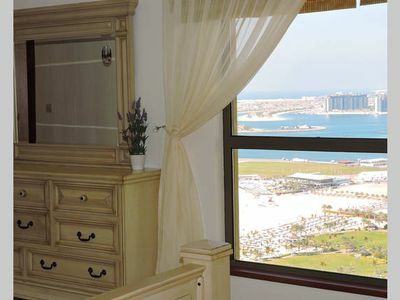 This is a guest bedroom available in an elegantly furnished penthouse apartment in the heart of Dubai Marina, in an ocean -facing and world renowned Skydive and Barasti Beach. 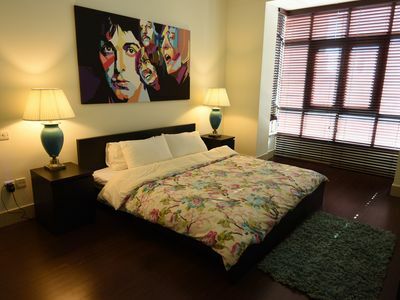 Located in a 5-minute walk from Marina Walk, we offer self-serviced apartments along with a gym, indoor and outdoor pools,sauna, steam, snooker and activity rooms. Free Wi-Fi is available. 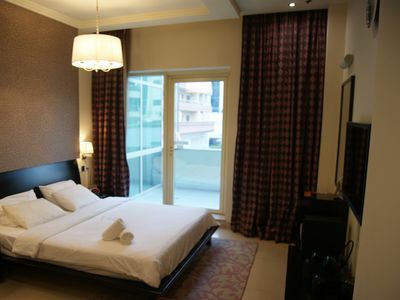 Stay at the best place in Dubai..Dubai Marina. The apartment is in one of the tallest residential building situated opposite to Barasti Beach and Dubai International Marine Club! There are tons of restaurants, cafes, supermarkets, tram and subway stations all within a radius of 1 km. The area has the most active and interesting spots in the city . 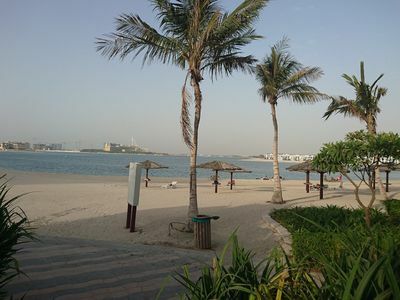 The Marina/JBR Walk is just within reach. 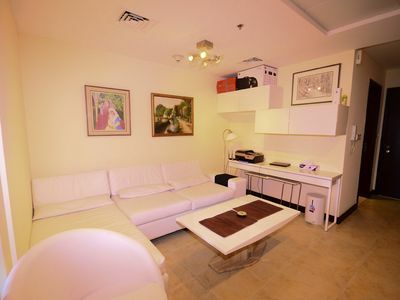 This place is close to Marina Mall, Ibn Batuta Mall &amp; Mall of Emirates and all other high end shopping centers. With Taxi, it will be a 45-minute ride with roughly around 100 aed(20 - 25 euros). With the public transportation, take the Red Line of the Metro from Dubai Airport going to UAE Exchange. Get off at Damac Properties Metro Station and take the connecting tram going to Al Sufouh. Get off at Mina Seyahi Tram Station. And voila! 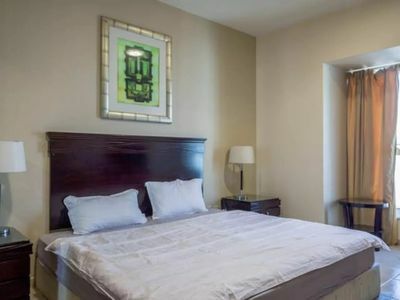 you are just a minute walk away from the building! Feel free to communicate with me and I will be more than glad to assist you. We are looking forward to welcoming you at our place! Access to the following are guaranteed too! Kindly let me know if you will be needing a parking to ensure availability. The high-rise and famous residential towers in the world are where we are in. Dubai Marina and Jumeirah Beach Residence have quickly become one of the most desirable places to live in Dubai. 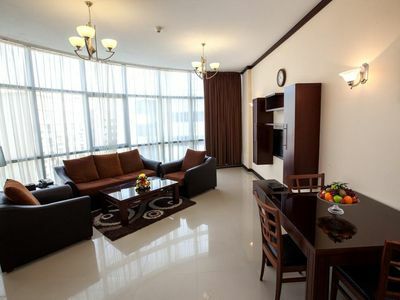 The area has been the most look after among tourists and working expatriates. 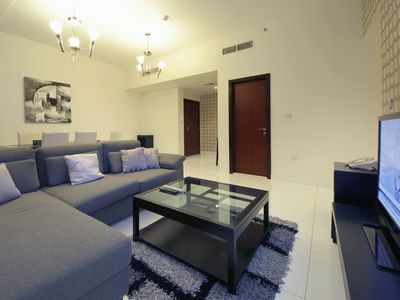 Five star hotels, numerous restaurants, beaches, bars and Marina/JBR Walk are all within reach. All in the heart of the Marina and all are at grabs! Hoping for your wonderful stay in Dubai!